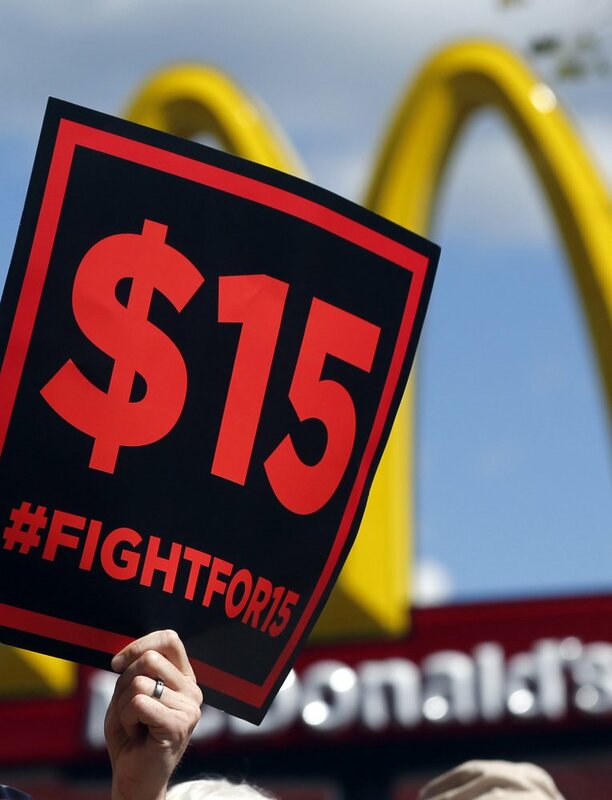 Supporters of a $15 minimum wage for fast-food workers rally in front of a McDonald's in Albany, N.Y., in 2015. The base wage is rising to $9.70 in upstate New York on Jan. 1. Supporters of a $15 minimum wage for fast-food workers rally in front of a McDonald’s in Albany, N.Y., in 2015. The base wage is rising to $9.70 in upstate New York on Jan. 1.